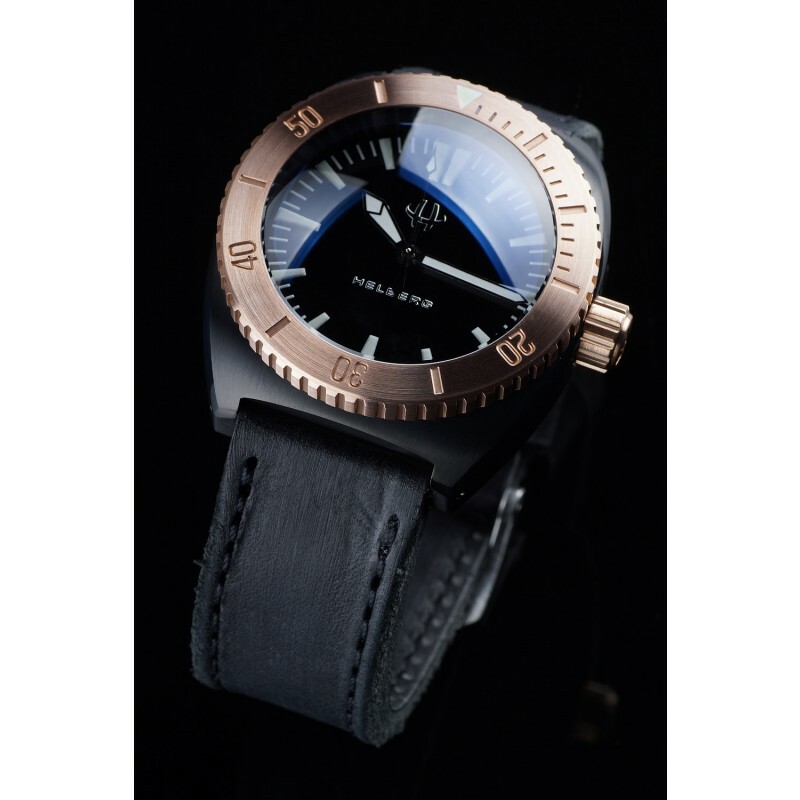 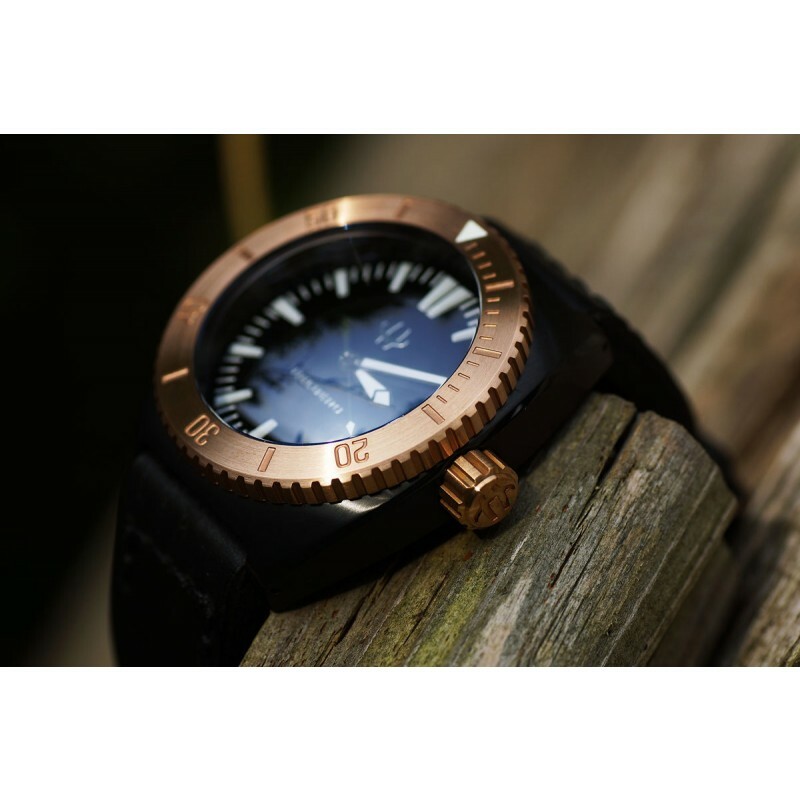 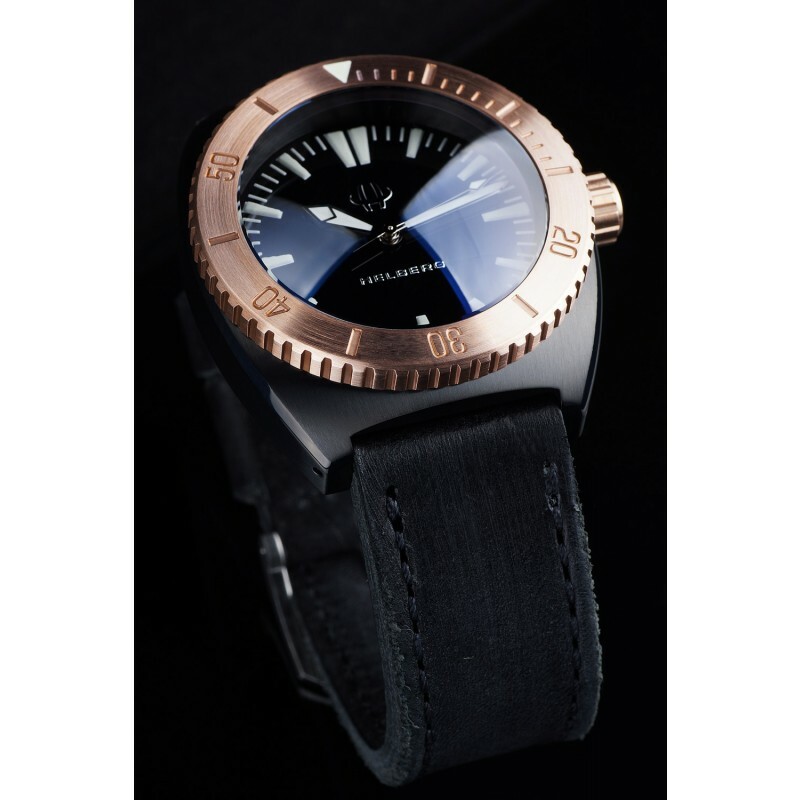 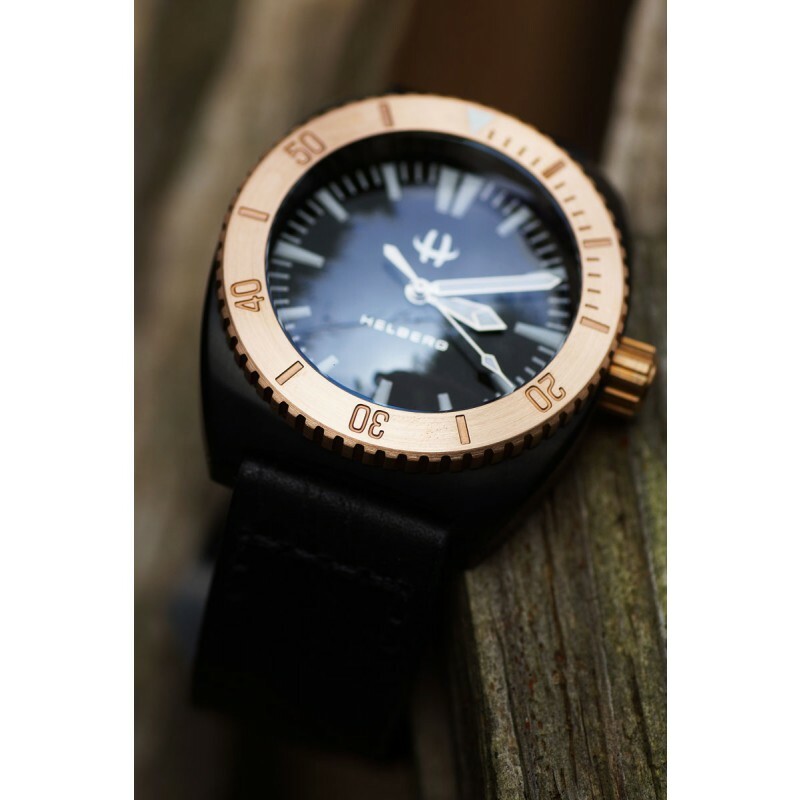 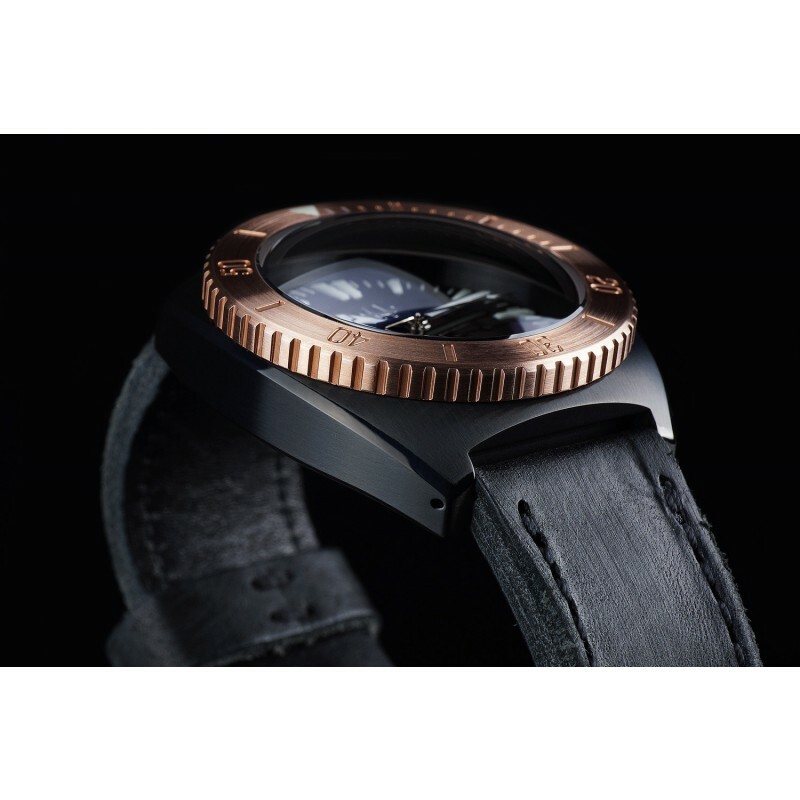 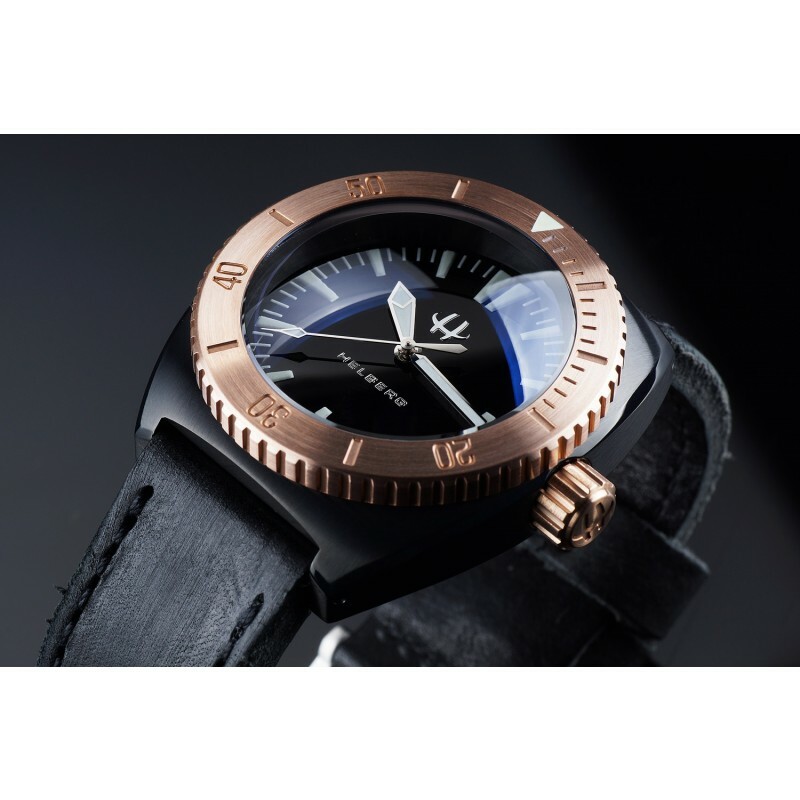 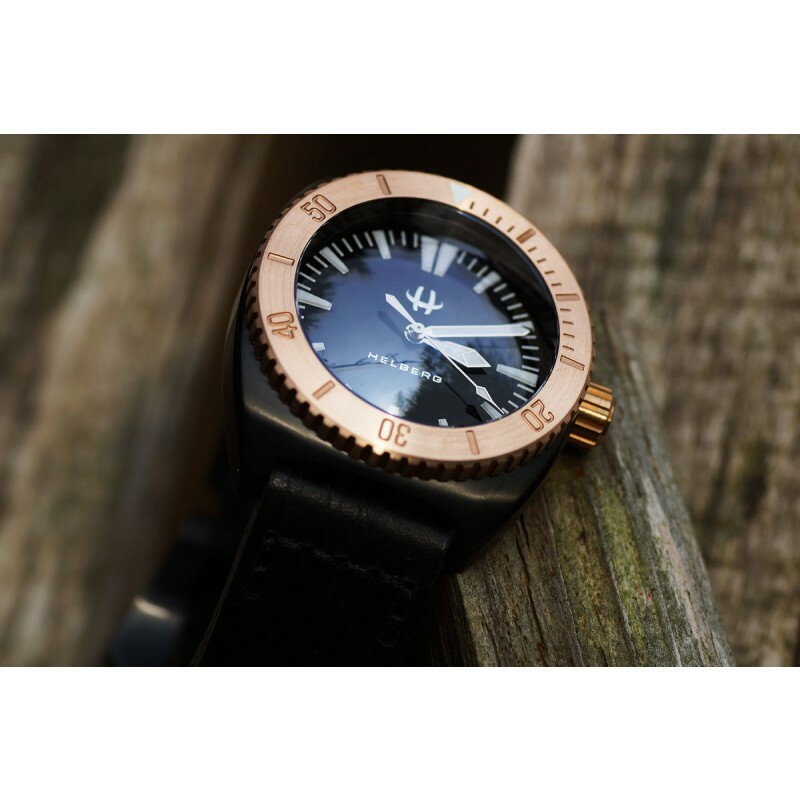 The new HELBERG CH6 DLC / BRONZE not only offers an attractive design and the usual perfect H2O built quality, but also a very unique color scheme with black DLC coated case and solid Bronze bezel. 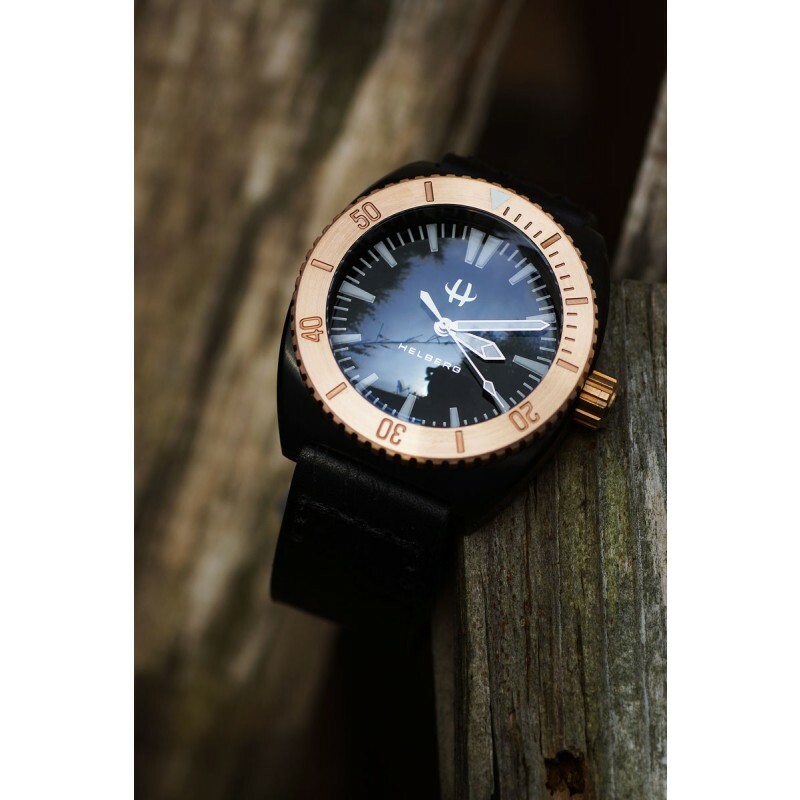 Built in Germany by our watch maker and available for shipment. 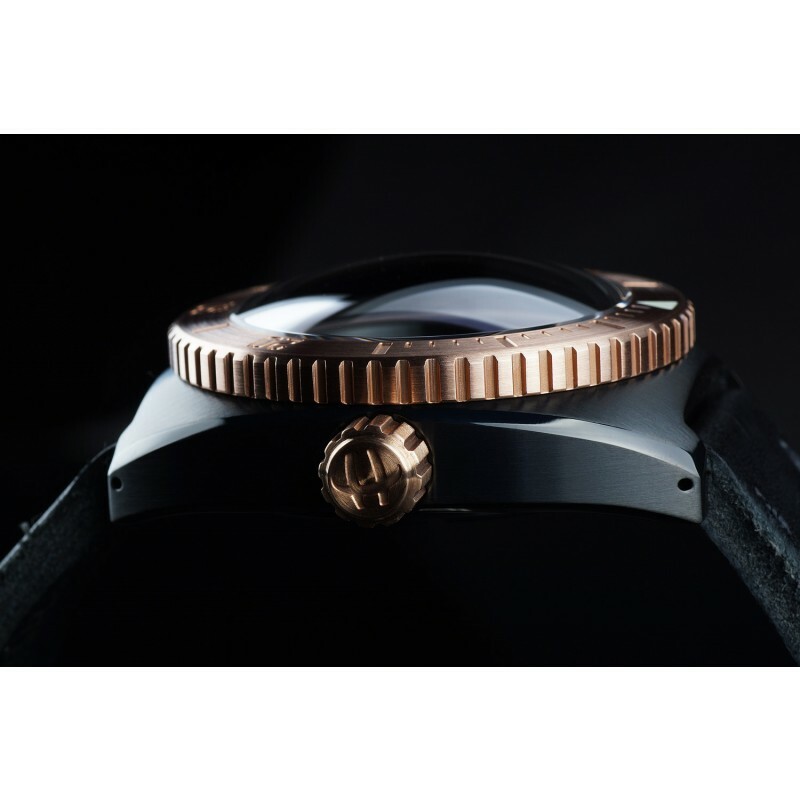 The HELBERG CH6 DLC / BRONZE will be offered in one configuration with black, high glossy enamel dial without date window, chromed handset and the 4mm domed sapphire crystal.